Lindsay Lohan is seen in Los Angeles Superior Court on March 10, 2011. Any volunteer is a good volunteer -- even a starlet surrounded by legal troubles, according to the Downtown Women's Center. Actress Lindsay Lohan will serve a portion of her 480 hours of community service at the center. "DWC is a life-changing experience for all that walk through our doors," said Lisa Watson, DWC CEO. "We are a community that fosters dignity and respect. DWC hopes that Miss Lohan is inspired by her experience here." The center has seen a 40 percent increase in women seeking services since the beginning of this year, according to the DWC. The clinic serves nearly 200 women a day. "Given this enormous increase of women in need, DWC welcomes the support of a wide range of volunteers, organizations, college interns and homeless advocates," according to the center. 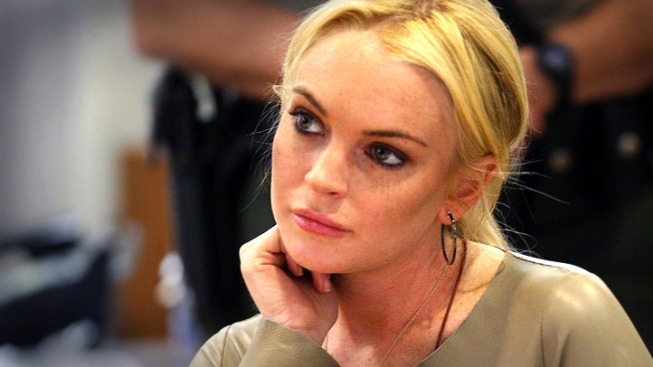 Lohan will also serve a portion of her community service at the L.A. County Morgue. Additionally, she was sentenced to 120 days in jail for violating her probation.